AB testing (otherwise known as split testing) is a classic form of experimentation that’s used by businesses in nearly all industries to test a user’s response to two variables—A and B. Although simple in its approach, it’s invaluable for gaining critical insights into user behavior so that you can deliver the best possible experience. 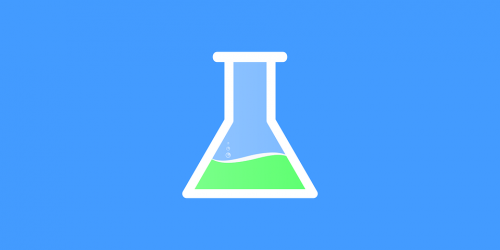 For this post, I’m going to discuss AB testing in the context of social media marketing (SMM). Here are some specific social media AB tests you can use to fine-tune your SMM, build your following and generate more quality leads. There’s been a lot of debate as to what the ideal headline length is. A few years ago, most experts suggested using shorter headlines. But recently, longer headlines have surged in popularity. For this test, you should post at least three pieces of content with short headlines (a max of six words) and at least three with long headlines (with seven or more words) and track the results by looking at engagement metrics like comments, shares, likes, etc. Video is scorching hot right now. HubSpot even reports, “53 percent of people want to see more video content from marketers.” On top of this, video is the content medium that people are most likely to consume thoroughly (as opposed to just skimming). So it only makes sense that you’ll want to experiment with video vs. traditional text-based content to see how your audience responds. Conventional logic would probably dictate that it would be best to post content during the weekdays when more people are online. But there’s a sizable body of research that suggests the weekend is better (at least for certain industries) because most people aren’t working and are free to peruse their social media accounts. Doing some experimentation with posting on the weekdays and weekends should help you find the sweet spot for your law firm. Posting frequency is another topic that’s widely debated. Some believe that a high frequency is a great way to keep your audience engaged and ignite brand growth. Others think that this can lead to audience burnout and a diminished following. Of course there are a myriad of variables in play here including the platform you’re using. For instance, it’s totally fine to post five times a day on Twitter but complete overkill on Facebook or LinkedIn. So the only way to see what’s right for your law firm is to test. One week you might post five times on Facebook. The next week you might post three times. The following week you might just post once. With social media being the lifeblood of many law firm marketing campaigns, it’s definitely something that you want to optimize. One of the best ways to go about this is to perform a variety of social media AB tests. Doing so should provide you with clarity on user behavior and help you make the necessary adjustments that put you in the best position to succeed.